Anyway, I’m absolutely desperate to find out how to upload stuff from instagram automatically on to here, because at the moment, I have to email the pictures to my computer, and that’s a right old faff. I can’t believe WordPress doesn’t have a widget. Why is it ruining my life like this? What am I on this earth for if not to share artlessly bleached and randomly focused pictures of dinner with as many people as possible? Once I’ve got over this disappointment, I might do a proper post. 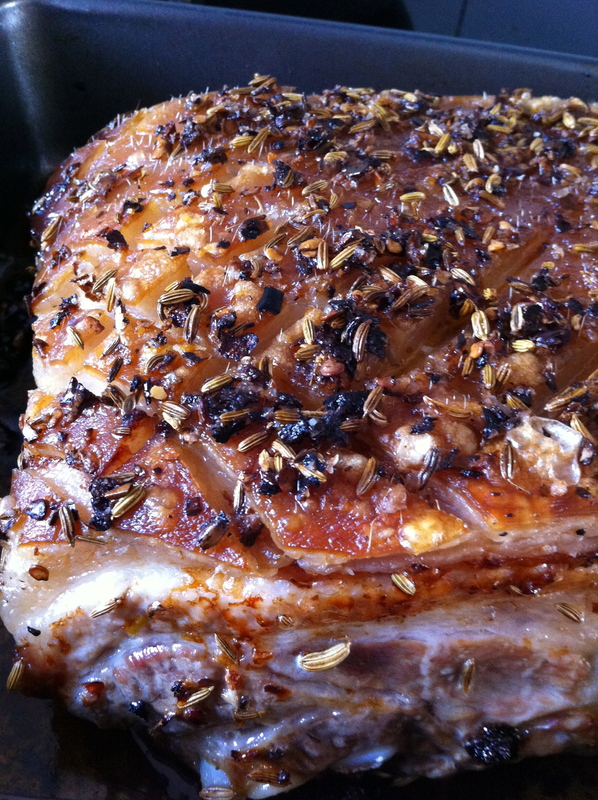 In the meantime, this is the pork belly with chilli and fennel that I cooked for Sunday lunch.